There are some houses that capture the imagination and will not let go: especially when the house is ancient and has responded organically to each generation’s needs and requirements without undue concern for formal architectural rules or symmetries, Such a house is Hellens, Much Marcle, in Herefordshire. 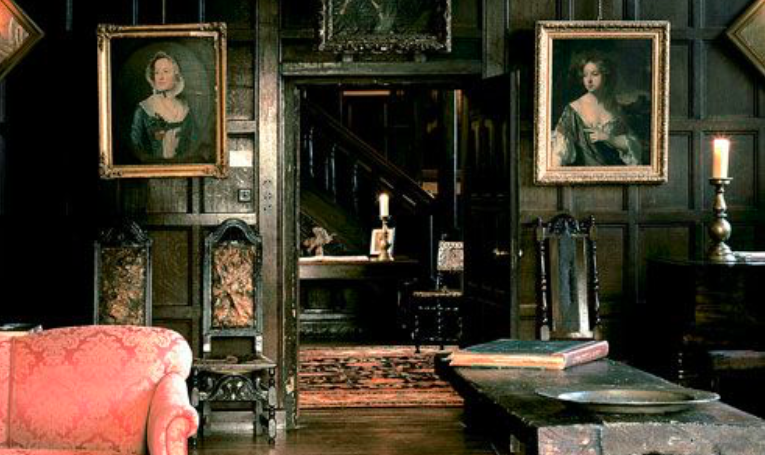 Hellens remains a living home, and not a museum, although it contains a wealth of period furnishings, artifacts, paintings and decorations. Hellens has worked its magic on Inscape members during past Inscape study visits, and now further elaborates its bounty by hosting intimate music festivals run by the internationally-renowned pianist Christian Blackshaw. The Hellens concerts- for 40 privileged guests only- present truly wonderful music performed by musicians of international stature. These concerts are truly the way the composers intended them to be, intimate and clear interpretations. We return to Hellens after thoroughly enjoying last year’s festival. To preserve the atmosphere of cosy antiquity surrounding our evenings at Hellens, we again stay at the lovely Feathers Hotel which has welcomed guests for over 400 years. We have been offered a private visit to Birtsmorton Court, a Grade I listed fortified medieval moated manor house near Malvern in Worcestershire, in the former woodlands of Malvern Chase. Birtsmorton will make a wonderful comparison to Hellens. We shall also be comparing two simply superb and extremely unusual Victorian churches: St Catherine’s Hoarwithy, finest church in Herefordshire, by JP Seddon, teacher of Voysey; and All Saints Brockhampton-by-Ross by WR Lethaby, Master of the Art Workers Guild and first Director of Central School of Arts and Crafts, the most unusual church of its date (1901) in England, still with its original Arts and Crafts fittings. The Hellens Music Festival is held over only three days each year. Each year’s musical programme is superbly crafted by Christian Blackshaw, a most remarkable man, and a superb musician. Do join us for a privileged experience that will linger in the memory long after the last note has died away. COST £975 Members, £1025 non-Members, £95 single room supplement, £250 deposit, includes two nights accommodation with breakfast, two lunches with wine, two dinners with wine, lectures by Nicholas Friend, two concerts, private visit to Birtsmorton and all travel during the tour, VAT, tips and service. Includes travel to Ledbury if attending Berkeley Castle tour, otherwise excludes travel to and from Ledbury.